This summer, an adventurous group of eight classic MG owners embarked on an epic 25,850-km journey across 60 cities on the legendary “Silk Route” in a fleet of historic MGBs. The “Silk Route” is a world-famous ancient network of trade routes which linked the regions of the ancient world in commerce. The 102-day MG road trip started in Thailand, passing into Cambodia, then China, Kyrgyzstan, Iran, Turkey and across Europe before arriving in the UK town of Abingdon – the home of the MG Owners Club. The two-door classic car, built in England from the 1960s to the 1980s, is an icon amongst British sports cars. Over the two decades, it was manufactured in several variants including the original MGB; a four-cylinder, soft-top roadster, as well as the more powerful MGB GT and MGB GT V8 and the popular six-cylinder model, the MGC, which was available in both coupe and roadster versions. With a mix of complex terrain across the route, the British classics were put to the test in completely unchartered territories. 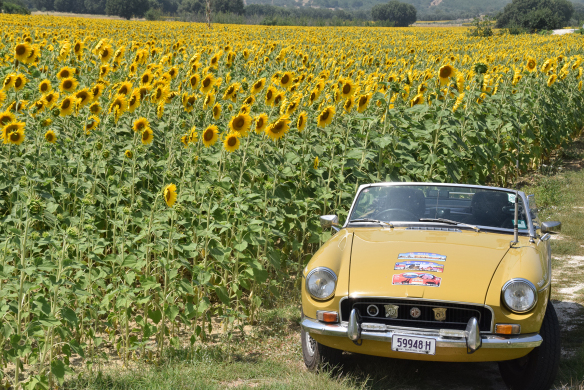 Unfortunately, one of the MGs, an MGB GT model, had to retire in Iran due to the challenging road surfaces but, despite the demanding conditions, the rest of the fleet pushed on. The trip was completed in just over 100 days and the convoy was greeted by crowds of MG enthusiasts on arrival in the UK.